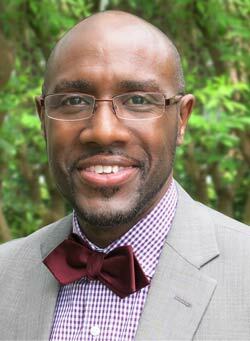 Dr. James D. Noble is a graduate of the historic Central High School in Little Rock, Arkansas. He completed his Bachelor’s degree at Arkansas Baptist College before moving his family to Memphis, TN to continue his education. He has been married to Redunda Noble for 27 years. They are the parents of two sons and a daughter. Dr. Noble attended Mid-America Baptist Theological Seminary in Cordova, TN where he earned both a Master of Divinity Degree and a Doctor of Philosophy degree. Dr. Noble is purposeful in evangelism and missions. He loves people and recognizes the opportunity to spread the gospel to advance the kingdom of Jesus Christ, by helping people come to know Jesus as Savior and Lord. Dr. Noble is a faithful preacher and teacher, dedicated to helping people to understand the Bible as God’s Word and the supreme authority for their lives. He is committed to seeing Christians grow in their relationship to Christ and teaching them to live out their faith in practical ways. Dr. Noble has served as a pastor, associate pastor, church launch team member, and Vice President of the Tennessee Baptist Convention. He led secular employees to study the Bible while serving in the Christian Employee Resource Group (CERG). He has traveled abroad for evangelistic missions and preaching in several countries including West Africa and Latin America. James Noble is also a member of Omega Psi Phi fraternity. He played soccer and served as a coach for more than 15 years.